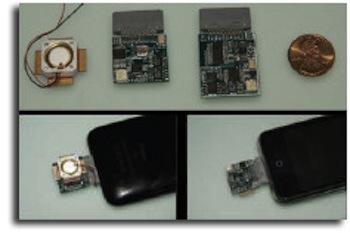 NASA showed off prototypes of cell phone chemical sensors last week at San Diego State University. Cell-All is designed to provide greater chemical detection capabilities in cell phones. Cell phone owners could use their phone's GPS to provide sensor location information to emergency operation centers. While still years from implementation, researchers are working on the proof of concept in cell phones and will provide a look at the state-of-the-science to date. 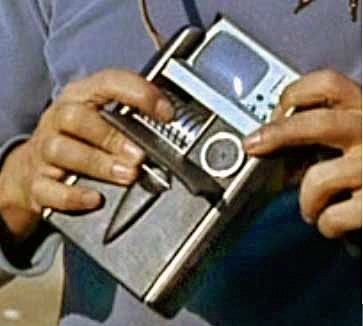 SF fans are starting to turn gray in their wait for Star Trek tricorders; but, if we're patient, we'll see them in our lifetime. From NASA via NASA Watch; thanks to Winchell Chung for the tip.